Disco Inferno is no longer available. If you’re looking to catch some disco fever during your Branson vacation, be sure to check out Disco Inferno at the God and Country Theater. 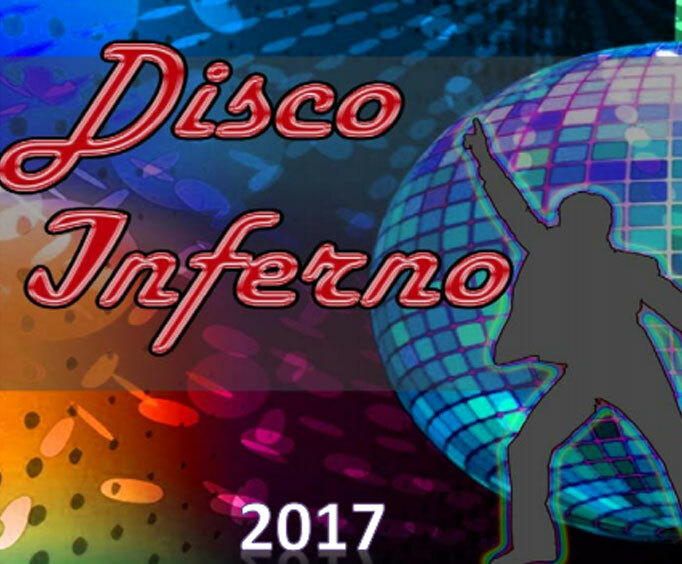 Disco Inferno is a lively show that will have you shaking your groove thing all night long. Great entertainment for the long time disco fan, someone looking for a blast to the past, or a fun night out, this high-energy show is sure to leave a lasting impression. As guests take a journey back in time, the state of the art equipment and comfortable seating of the God and Country Theater will help ensure your good time. Branson is full of amazing musical experiences, and if you’re a disco lover, you won’t want to miss this unforgettable show. See the show that is an homage to the era that has inspired music heard today. Fun for the whole family, this show will showcase some awesome hits from the 70’s from artists such as Donna Summer, the Bee Gees, Barry White, KC & the Sunshine Band, and Earth, Wind, and Fire. For a show that will have you feeling all sorts of groovy, you don’t want to miss Disco Inferno. This is an absolute must-see for those of you who possess a real reverence for the days of disco. So, dig out those mood rings and bell bottoms, and hustle on over to reminisce with us over the decade of dance.